How the coaching process works – Are you ready to start on a journey of self-discovery? Together we will embark on a relationship built on trust and accountability to explore and challenge your current thoughts and behaviors and explore and propel your true potential and living as your best self. 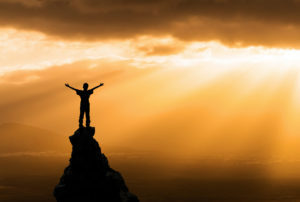 Through coaching, you will be provided an opportunity for transformation, freedom and enlightenment to connect with WHO you really are and go after what is you really want. Based on your agenda, we will identify and prioritize what it is you want to focus on and the areas you’d like to improve, or the areas you are really happy in and want to strengthen. Coaching provides a partnership and structure with specific tools to design a plan and stay accountable to that plan, which provides lasting results. Through our conversations we will raise your awareness to dive deeper into who you really are , what you really want, and what is blocking you from living a life of purpose and fulfillment. I will be here to listen, cheer you on and celebrate when you get there. You CAN do it, just make that first step and get in touch with me. Make it happen! Coaching sessions are usually done on the phone and last around 45 minutes. Services are usually sold in packages rather than sessions as clients have a much higher rate of success when they commit to a minimum of 1 month, but ideally 3 months.